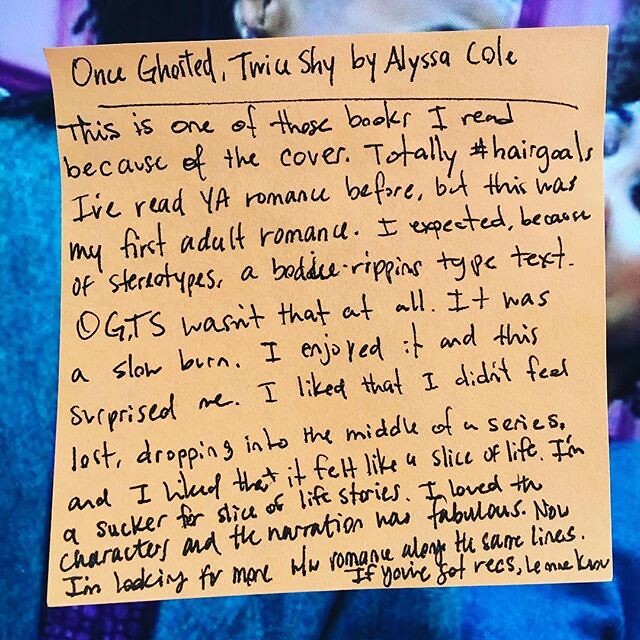 I’ve been adamantly against romance novels, professing they weren’t for me. I think it had more to do with not seeing myself represented in the romance novels that people were talking about. 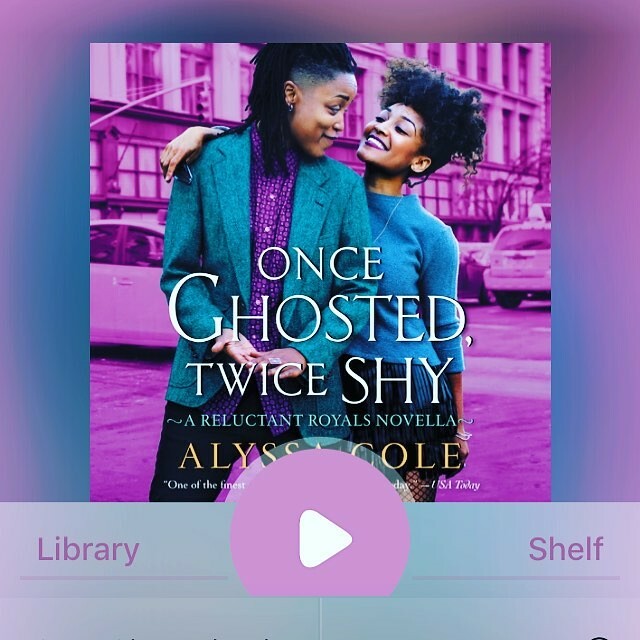 When my friend sent me the cover of Once Ghosted, Twice Shy by Alyssa Cole, I was immediately intrigued. I definitely read it because of the cover. My thoughts below. This is one of those books I read because of the cover. Totally #hairgoals. I’ve read YA romance before, but not adult romance. I expected, because of stereotypes, a bodice ripping type text. Once Ghosted, Twice Shy wasn’t that at all. It was a slow burn that I enjoyed. This surprised me. I liked that I didn’t feel lost, dropping into the middle of a series, and I liked that it felt like a slice of life. I’m a sucker for slice of life stories. I also loved both of the characters and the narration was fabulous. I’m now looking for more wlw romance along the same lines. If you’ve got recs, shoot them at me.